The worst car ever sold in the United States? Or an underrated, underappreciated ride? 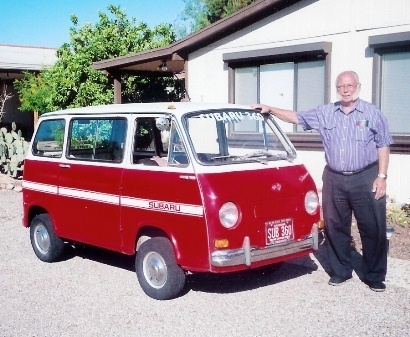 Ed Parsil alongside his Subaru 360 van in Tucson, Arizona. Photo courtesy of Ed Parsil. In February 1975, I spotted a 1970 Subaru 360 van for sale in Jamesburg, New Jersey. I thought it would be practical (the price of gas had soared to—gasp!—75 cents a gallon), and my wife Anita thought it was cute, so we bought it. But when I went to the local Subaru dealership to buy a set of points and an air filter element, the dealer had neither in stock, nor did it have the parts book. The problem was that relatively few 360’s had been exported from Japan to the U.S., Consumer Reports magazine having rated the car “Not Acceptable” in April 1969. Fortunately, two other New Jersey dealers had parts, and I started running ads in Hemmings Motor News to get in touch with other owners. I located two more 360’s—one van and one sedan—and purchased both (for parts). After I got the sedan on the road, Anita and I each had a 360 to drive. The first newsletter went out to 24 individuals in November 1979, with the expectation that the club would one day grow to 100 families or so. By the end of our first year there were 87 member families in 31 states with 140 Subaru 360’s. Today there are 470 member families with over a thousand 360’s. The test car’s acceleration was one of the magazine’s prime complaints: “From a standing start, the Subaru took an agonizing 37.5 seconds to reach 50 mph [as compared to a 1968 Volkswagen Beetle (14.5 seconds) and 1969 Rambler (11.5 seconds)]. Worse still, the Subaru ate up almost half a minute in accelerating from 30 mph to 50 mph,” noted the article. For what it’s worth, I timed mine on numerous occasions, and it never took longer than 19 seconds to go from zero to fifty. In my estimation the 360 was well engineered, and it’s certainly simple to maintain (just five moving parts in the 25-hp 356cc two-cylinder two-stroke engine). When I moved my family from New Jersey to Arizona in 1980 I made a tow bar to flat-tow the van behind my 1968 Ford Fairlane wagon, while my wife drove the sedan the whole 2,600 miles, averaging 53 miles per gallon. In the end, we put 125,000 miles on our sedan in 21 years before restoring it and selling it to another club member for five thousand dollars in 1998. He customized it, drove it frequently, and won many trophies at car shows with it. After he passed away late last year, his family put it up for auction, where it sold for $16,500. Not bad for a car that went for $1,297 new in 1970. As for the van, my wife and I still drive it every day and plan to keep it until our kids take the keys away. We have driven Subaru 360’s more than 350,000 miles in the last 35 years, and have never (yet!) been stuck on the side of the road. Ed Parsil is former editor of the Subaru 360 Club newsletter. Visit the club’s Web site at subaru360club.org. Chevrolet Corvair: Failure at Any Speed? 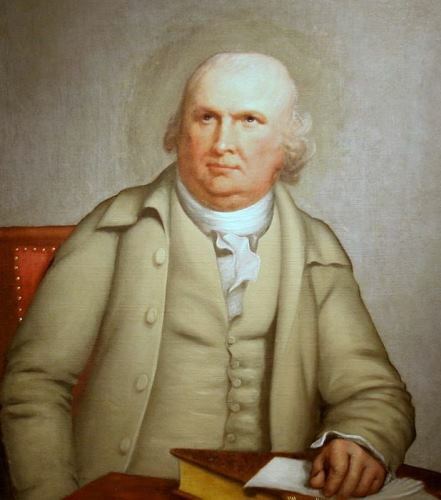 Robert Morris’s Folly—The architectural and financial failures of an American Founder. 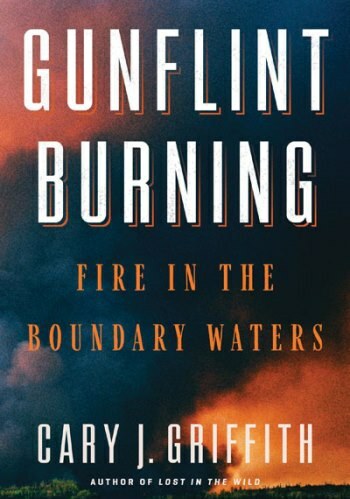 The Ham Lake Fire—Cary J. Griffith, author of “Gunflint Burning,” on one of the largest wildfires in U.S. history. It’s a Wonderful Life—Frank Capra’s examination of failure. 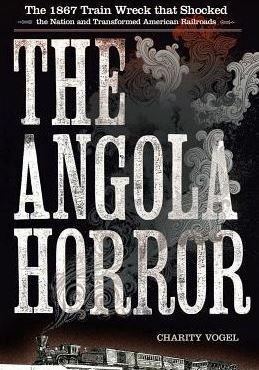 The Angola Horror—The 1867 train wreck that shocked the nation and transformed American railroads.